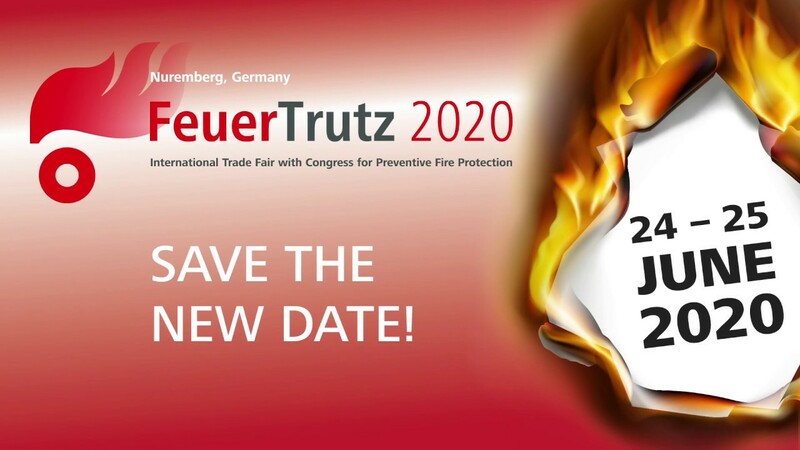 For the ninth time, the FeuerTrutz took place the 20 and 21 February 2019 bringing fire protection experts together: 315 exhibitors from 21 countries and more than 9,000 trade fair and congress visitors turned the Nuremberg Exhibition Centre once again into a industry’s meeting point. The FeuerTrutz 2019 was a complete success. Exhibitors and trade visitors experienced a varied supporting program with highlights such as the Fire Protection Congress and various in-& outdoor demonstrations. The FeuerTrutz thus underlined its role as a central information platform for fire protection in the European area. If you want to get detailed information about products and services or about the fire protection concept, don’t miss the FeuerTrutz. Experience the highlights of the FeuerTrutz 2019. New Location. New Date. New Opportunities. From 2020, we'll be meeting at the best time. Would you like to know more about FeuerTrutz?